By putting out additional food, gardeners can make a significant contribution to supporting wildlife over winter. It is also a great way to watch wildlife even in the smallest of gardens or balconies, often at very close quarters. 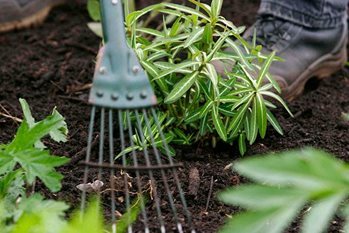 These tasks will help turn your garden into a wildlife haven, increasing the diversity of creatures that can not only survive but thrive. Garden birds, in particular, benefit from feeding year round, but winter is a time to provide foodstuffs with a high fat content to help keep them warm. Feed regularly so that birds will not waste vital energy visiting your garden when there is no food. Aim to carry out these tasks from late autumn (or as soon as hard frosts arrive) until mid-spring. It is surprisingly easy to do something to help garden wildlife in the lean and cold months of winter. Even if you carry out just a few of the following tasks, it can make a difference. It is difficult to exclude bigger visitors such as pigeons and squirrels from a traditional bird table. Feeders give more control over what you attract and most designs can be fitted with squirrel guards.